Protect gear from the harshest environments. 21" x 17.5" x 11"
Originally designed to transport portable X-ray equipment for the U.S. Air Force. All hardware is recessed to prevent shearing if struck during shipping. Top and bottom with matching ribs for stacking similar cases on top of each other. 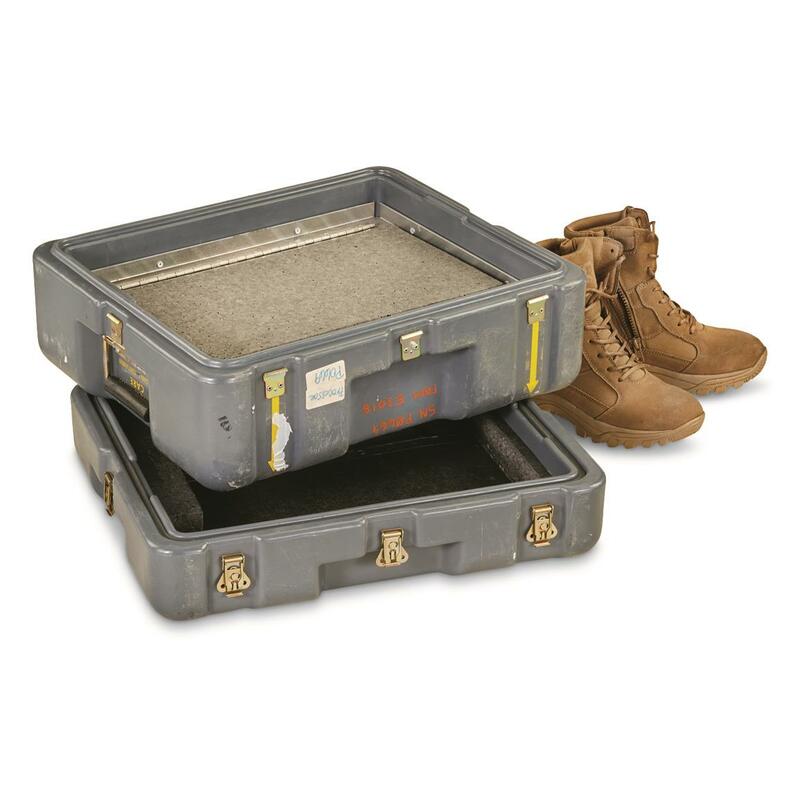 Inside, a riveted aluminum divider separates 2 compartments for rock-solid organization. 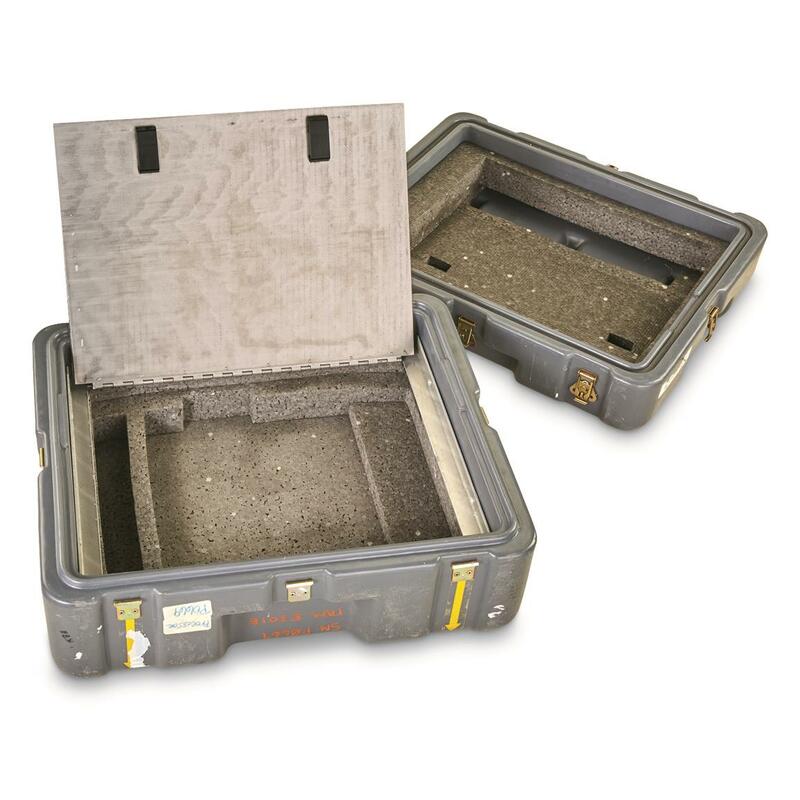 Keep sensitive equipment free from moisture, dust and dirt during long term storage and through rugged environments. 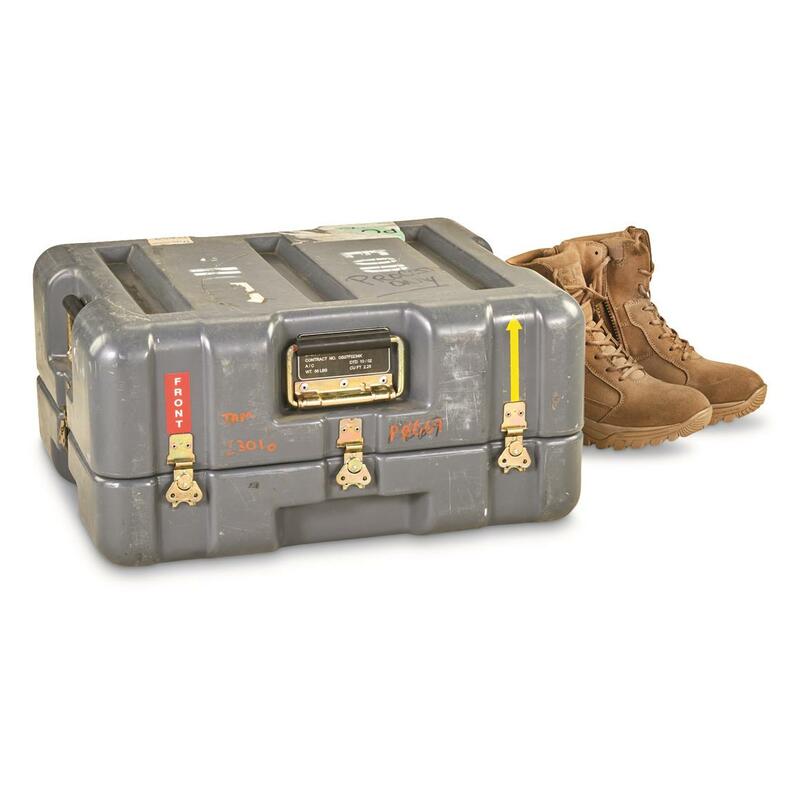 Made to U.S. military specs, and pre-tested by U.S. Air Force shipping technicians. Exterior Dimensions: 21" x 17.5" x 11"